Kyle Grillot - kgrillot@shawmedia.com Huntley senior Beth Parks (18) dribbles towards the net under the defense of Palatine senior Gina Falato (4) and freshman MAckenzie Fillian during the first half of the girls soccer game Tuesday in Huntley. 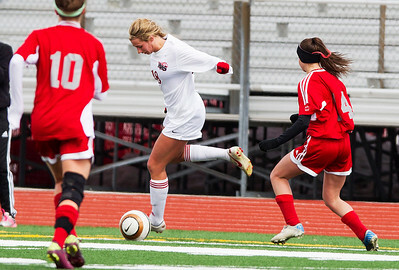 Huntley lost to Palatine, 1-0. 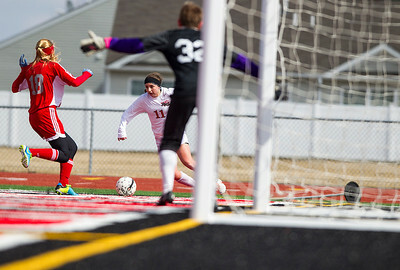 Kyle Grillot - kgrillot@shawmedia.com Huntley sophomore Taryn Jakubowski (11) dribbles towards the net under the defense of Palatine senior Morgan Radtke (18) during the first half of the girls soccer game Tuesday in Huntley. 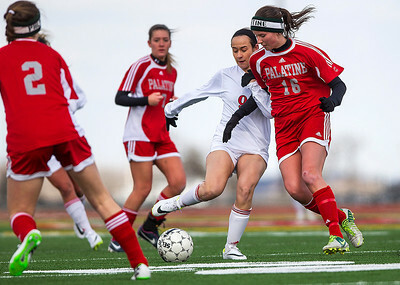 Huntley lost to Palatine, 1-0. 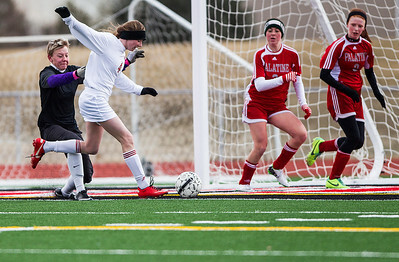 Kyle Grillot - kgrillot@shawmedia.com Huntley senior Jenna Hermansen (13) passes the ball under the defense of Palatine senior Emma Grochowski (2) during the first half of the girls soccer game Tuesday in Huntley. Huntley lost to Palatine, 1-0. Kyle Grillot - kgrillot@shawmedia.com Huntley senior Briana Gerardi (9) and Palatine senior Erin Meyer (16) fight for the ball during the first half of the girls soccer game Tuesday in Huntley. Huntley lost to Palatine, 1-0. Kyle Grillot - kgrillot@shawmedia.com Palatine senior Erin Meyer (16) and Huntley senior Jessica Helm (3) fight for the ball during the first half of the girls soccer game Tuesday in Huntley. Huntley lost to Palatine, 1-0. 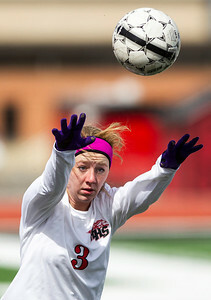 Kyle Grillot - kgrillot@shawmedia.com Huntley senior Jessica Helm (3) thaws in the ball during the first half of the girls soccer game Tuesday in Huntley. 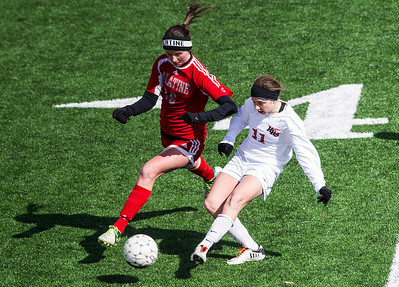 Huntley lost to Palatine, 1-0. Kyle Grillot - kgrillot@shawmedia.com Huntley senior Kaitlin Costantino (4) attempts a shot at goal defended by Palatine's goalkeeper Rachel Rhodes (left) during the first half of the girls soccer game Tuesday in Huntley. 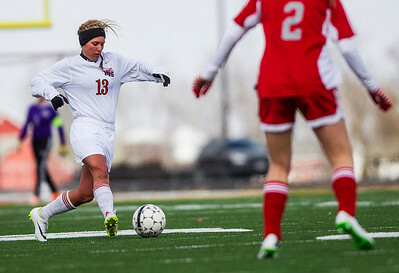 Huntley lost to Palatine, 1-0. 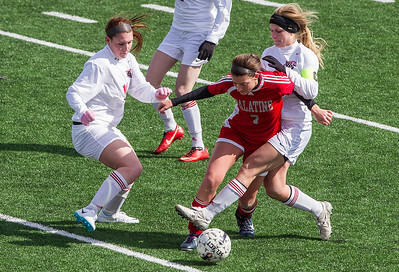 Kyle Grillot - kgrillot@shawmedia.com Huntley senior Abigail Nordeen (6) and Palatine junior Michelle Raymond fight for possession during the first half of the girls soccer game Tuesday in Huntley. Huntley lost to Palatine, 1-0. 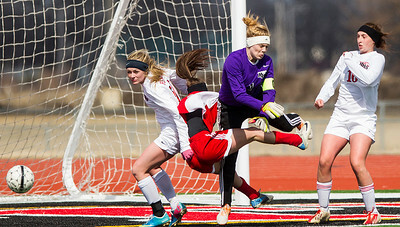 Kyle Grillot - kgrillot@shawmedia.com Huntley senior goalkeeper Jessica Galason dives to block the goal attempt from Palatine junior Carly Mulert while guarded by huntley junior Samantha Bessey (left) and senior Samantha Morin (right) during the first half of the girls soccer game Tuesday in Huntley. Huntley lost to Palatine, 1-0. 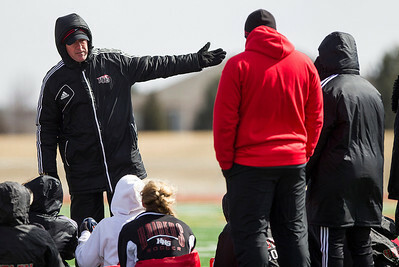 Kyle Grillot - kgrillot@shawmedia.com Huntley head coach Kris Grabner talks with his players during half time of the girls soccer game Tuesday in Huntley. Huntley lost to Palatine, 1-0. 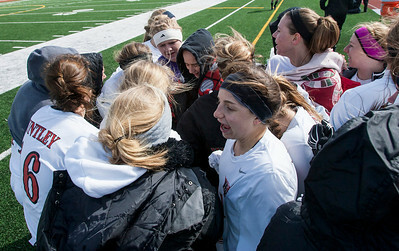 Kyle Grillot - kgrillot@shawmedia.com The Huntley girls come together before the second half of the girls soccer game Tuesday in Huntley. Huntley lost to Palatine, 1-0. Kyle Grillot - kgrillot@shawmedia.com Huntley senior Abigail Nordeen (6) dribbles away from Palatine junior Kiera Gavin during the second half of the girls soccer game Tuesday in Huntley. Huntley lost to Palatine, 1-0. Kyle Grillot - kgrillot@shawmedia.com Huntley senior Abigail Nordeen (right) and Palatine junior Michelle Raymond fight for possession during the first half of the girls soccer game Tuesday in Huntley. Huntley lost to Palatine, 1-0. 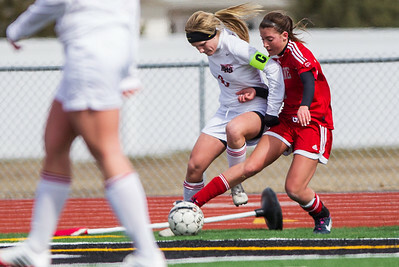 Kyle Grillot - kgrillot@shawmedia.com Huntley senior Jakubowski (11) tries to pass the ball away from Palatine senior Erin Meyer (16) during the second half of the girls soccer game Tuesday in Huntley. Huntley lost to Palatine, 1-0. 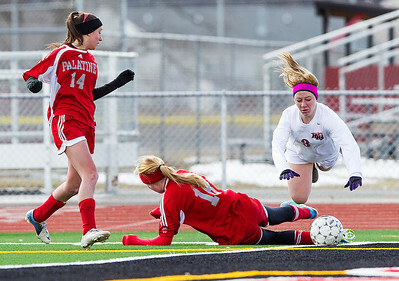 Kyle Grillot - kgrillot@shawmedia.com Palatine junior Carly Iacullo (14) watches as Huntley senior Jessica Helm (3) falls over Palatine senior Morgan Radtke (18) while dribbling towards the net during the second half of the girls soccer game Tuesday in Huntley. Huntley lost to Palatine, 1-0. 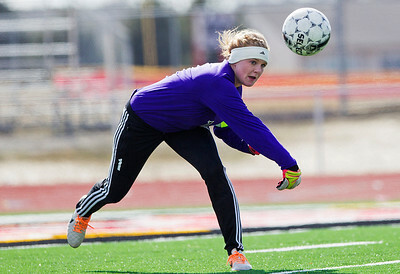 Kyle Grillot - kgrillot@shawmedia.com Huntley senior goalkeeper Jessica Galason passes the ball to a teammate during the second half of the girls soccer game Tuesday in Huntley. Huntley lost to Palatine, 1-0. 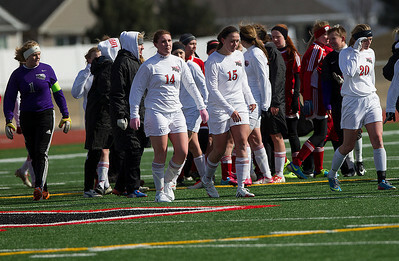 Kyle Grillot - kgrillot@shawmedia.com The Huntley team walks off the field after greeting the Palatine girls after the girls soccer game Tuesday in Huntley. Huntley lost to Palatine, 1-0. Kyle Grillot - kgrillot@shawmedia.com Huntley senior Kaitlin Costantino (left) and Palatine senior Gina Falato fight for control of the ball during the second half of the girls soccer game Tuesday in Huntley. Huntley lost to Palatine, 1-0. 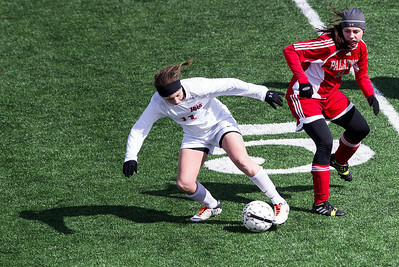 Huntley senior Abigail Nordeen (6) and Palatine junior Michelle Raymond fight for possession during the first half of the girls soccer game Tuesday in Huntley. 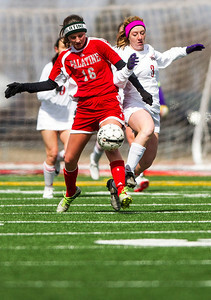 Huntley lost to Palatine, 1-0.